How do I get F11 and F12 to behave like normal function keys? I have a 2013 MacBook Pro Retina 15" and I'm trying to set the function keys to perform as normal function keys. So I want the behaviour to be inverted from the standard behaviour where I need to press Fn to get the keys to work normally. I've enabled the setting in Preferences as shown below. This works fine for all function keys except F11 and F12. Fn + F11 and Fn + F12 both have the expected behaviour of adjusting the volume now, but when I press F11 by itself it enters Expose and when I press F12 by itself it launches Dashboard. How can I get my F11 and F12 keys to just behave like normal function keys? Well I actually just figured this out. 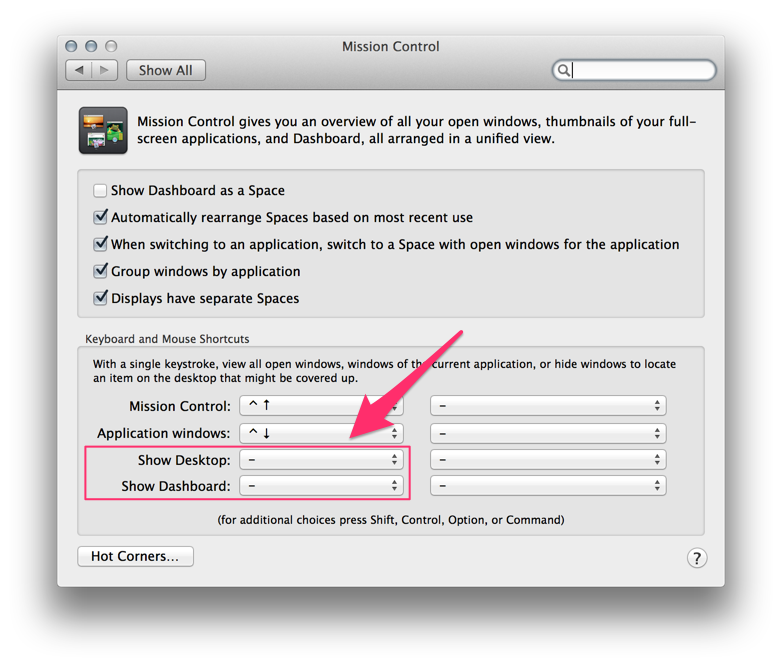 In Preferences under Mission Control there were two options set to use the F11 and F12 keys. I set these to '-' and that fixed the issue. The options that were set to use these function keys are highlighted in the screenshot below. Not the answer you're looking for? 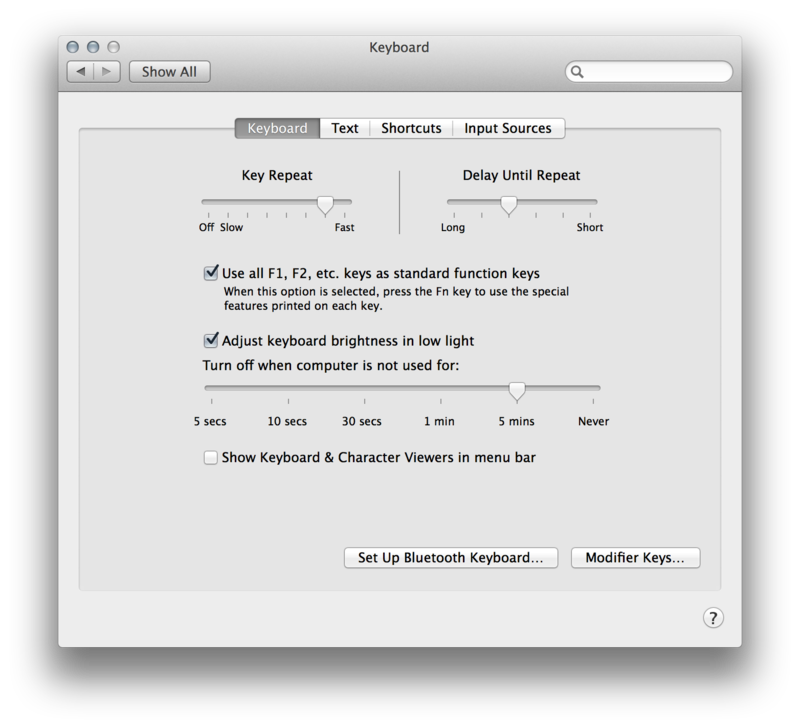 Browse other questions tagged macos keyboard system-prefs preferences . How to get F-keys of Apple Keyboard to behave like F-keys in Windows?